It’s a new year and time for some renewed health and fitness goals. Today, there are plenty of gadgets to help you keep your commitment and track your progress. Fitbit is a classic, but there are more options than ever to choose from. Here are a few to get you started. Samsung Gear Fit2 Pro: This fitness tracker has upped its game. In addition to the basics: heartrate, step counter and time, it has a few more impressive features. Waterproof is just the start, the Gear Fit2 Pro can also connect directly to popular apps like Map My Run and MyFitnessPal from the screen on the watch. Plus it has GPS tracking and a Spotify app, so you can leave that bulky phone at home. Nordic Track Grand Tour: This is not your in-law’s stationary bike that’s a towel rack in the garage. 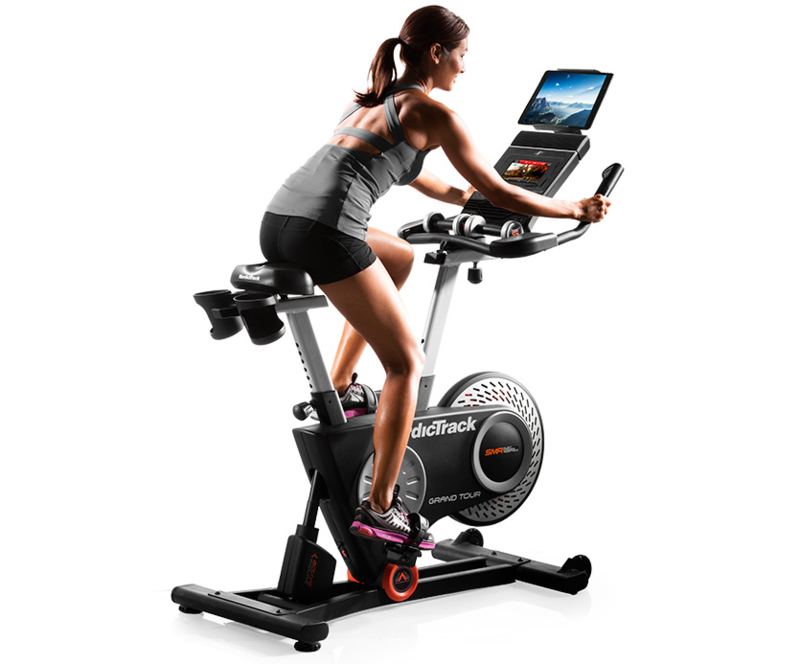 The Nordic Grand Tour features a 7” touch screen with 32 preloaded workout apps to get intense personal training. You can now spend your morning riding your bicycle through the streets of Rome from the comfort of your spare room, since it can access street views and transport you across the globe. 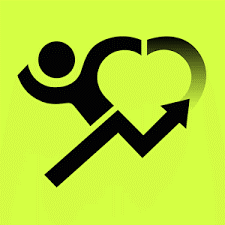 Charity Miles App: Keep two resolutions at the same time: Stay fit and be generous! Charity Miles tracks each run, walk, or cycle you do and converts them to dollars to be donated! 10 cents a mile for bicycle and 25 cents a mile for running. The financial obligation is met by generous companies like Time, Lifeway Foods, and even Humana. What’s more, you can designate where you want your miles of charity funds to go. Under Armour SpeedForm Shoes: A smart shoe for runners. This shoe connects to an app on your smartphone. 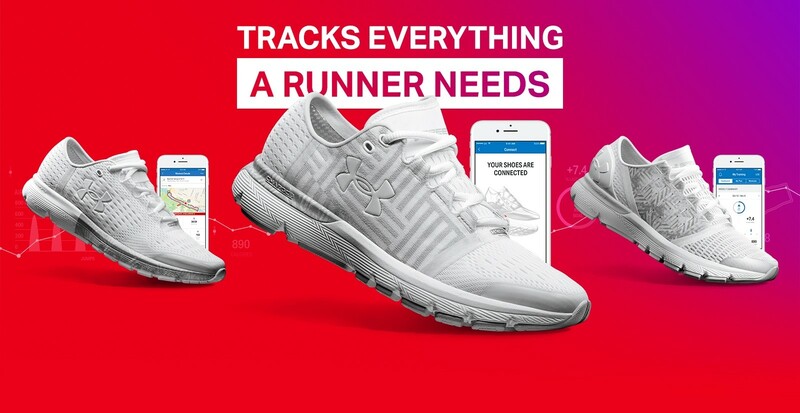 UnderArmour has partnered with MapMyRun, and the purchase of your shoes includes a 1-year subscription to the MVP MapMyRun app. The shoe is also compatible with Gear Tracker. This year, make a commitment to take care of yourself. 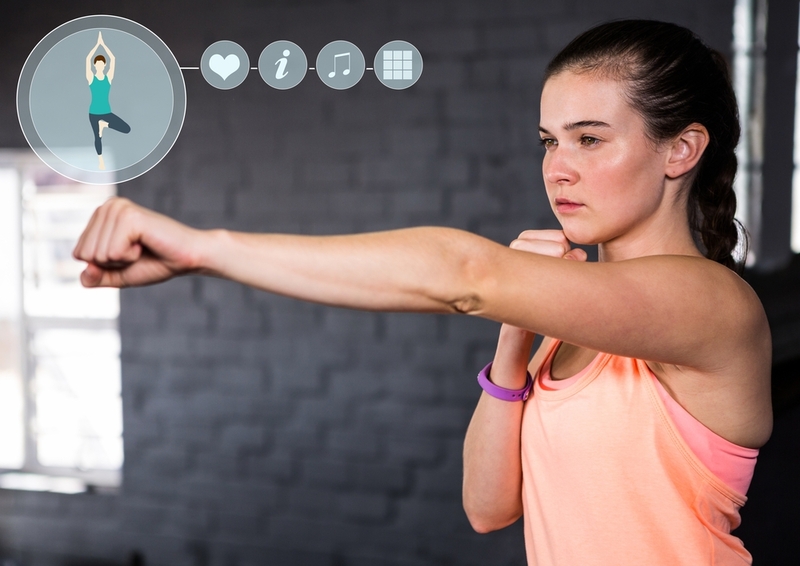 Use these tech advances or other tools that work for you to track your health and fitness goals. Make 2018 your best year yet.